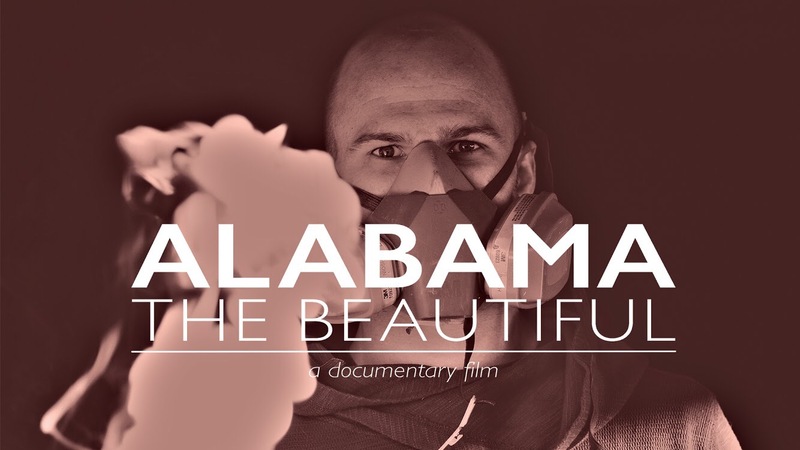 Premiering at the Sidewalk Moving Picture Festival this Saturday, the documentary “Alabama the Beautiful” showcases six Alabama artisans, offering a glimpse into the revival of Southern makers that’s bringing creativity to cities and small towns across the state. The film’s director, 22-year-old Corey Carpenter, found inspiration in his subjects’ stories. “All of these people absolutely love what they do, but they all had a weird, roundabout way of getting to where they are now,” he said. Initially conceptualized as a promotional video for artist RC Hagans from Opelika, Carpenter could not shake the feeling that the concept could turn into something bigger. The documentary is being shown at 10 a.m. Saturday at ASFA Recital Hall. “The whole artisan movement is revitalizing areas of Alabama like never before. So I talked to friends, and they suggested, why not make a full-length documentary?” Carpenter said. Opelika artist RC Hagans is one of the artisans featured in "Alabama The Beautiful." The documentary began to take shape when Carpenter attended Southern Makers, an artisan festival in Montgomery in spring 2014. The event solidified the idea as Carpenter met the artisans he would later feature. The film’s six artisans represent a diverse range of products, including food, furniture, art and clothing. Belle Chèvre: For more than 25 years, Belle Chèvre has sold artisan goat cheese products produced in Elkmont. A native of Huntsville, Tasia Malakasis purchased the creamery in 2007 and expanded the business to include goat cheese cheesecakes, DIY kits and beauty products. Belle Chèvre has received national attention, winning awards from both the American Cheese Society and The Good Food Awards. Malakasis is the author of two cookbooks. Idyllwilde: Creating clothing she would love to wear, fashion designer Nadene Mairesse embraces her love for cotton, wool, linen and silk with her seemingly effortless designs for women’s and children’s clothing. Originally from Los Angeles, Mairesse launched Idyllwide in 2013 in Florence. She also makes and sells household products like towels and aprons. Wood Studio: Featured in “Garden & Gun” as the overall winner of its Made in the South Awards for its Lookout Mountain Rocker, Wood Studio is an artisan wood craftsman company founded by the Cochran family in 1986 in Decatur. Today, Randy Cochran and his two sons, Keith and Dylan Cochran create their custom, woodworking designs in their shop in Arley and offices in Fort Payne. The Freedom Soap Co.: Known for its small batch, all-natural soap and skin-care products, The Freedom Soap Co. is owned and operated by Chasity Curtis in Birmingham. Freedom Soap’s products are 100 percent natural and vegan-friendly, containing no synthetic ingredients. Good People Brewing Co.: Opened in 2008 by Michael Sellers and Jason Malone, Good People Brewing was the first brewery in Birmingham to can it craft beers. Today, they can six of their beers, including the uniquely named Snake Handler and The Bearded Lady. They recently renovated their physical brewery and taproom, located next to Regions Field. RC Hagans: Hagans specializes in cut paper and aerosol paints. With no formal training, Hagans says his best work comes from experimenting. Raised in Opelika, Hagans has made a career with his art, though prior to that, spent some time as a MMA fighter. Carpenter grew up in the small Randolph County town of Wedowee, and he said from a young age, he learned to appreciate the strong sense of community a small town can provide. “I feel like in a small town, community is a bigger deal, where people know everybody and care for everybody,” he said. Carpenter explained that his film has no political agenda or preaching points, he simply wants people to be aware that these artisans and their unique, handcrafted products are made locally, oftentimes in the city or small town where you live. “I want people to be aware that there are people doing this around them if they just look,” Carpenter said. “These are people who have a passion for their community and for what they do. They need our support,” he said. Before he even began filming, Carpenter – a University of Alabama film student who made the documentary as a personal project — knew he wanted it to premiere at the Sidewalk Moving Picture Festival. “What better place to premiere than at Sidewalk in Alabama. I feel like it’s the artisan film festival of film festivals, and it’s the biggest one in the state,” he said. Greg Canfield, secretary of the Alabama Department of Commerce, said the creative work of artisans across Alabama contributes vitality to the state’s economy and adds a unique dimension to its quality of life.